Marcelo Ferrate has been writing professionally since 2010. He has worked in the field of health care as a dietetic technician, and he writes about health, fitness, food and diet for LIVESTRONG.COM. Ferrate holds a Bachelor of Science in nutrition and dietetics from Florida International University. For diabetics, management of blood sugar can be achieved through diet by understanding the glycemic index. The glycemic index represents the effect in blood sugar rise stimulated by a specific food (less than 10 is considered a low effect, and more than 20 is considered a high effect). Because 100 percent fruit juice stimulates a medium effect in blood sugar and represents an excellent source of B vitamins, vitamin C, potassium, phosphorous and magnesium, it is preferable to smoothies or artificially flavored drinks. Orange juice is a nutritious way for a diabetic to start his day. 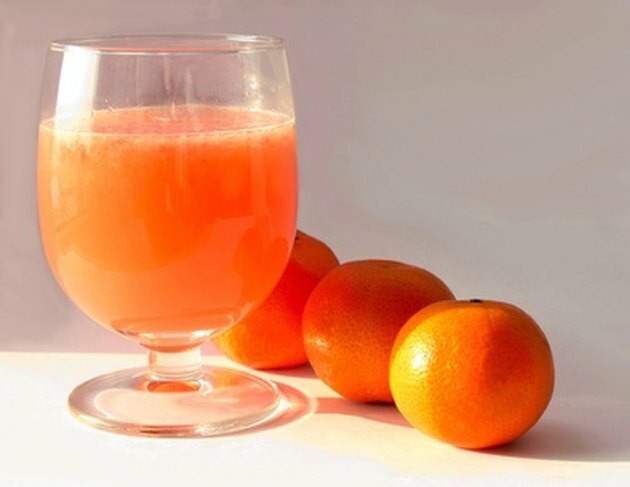 According to NutritionData, orange juice is packed with vitamin C (anti-inflammatory), vitamin A, vitamin B1 (co-enzyme necessary for energy production), folic acid (essential for red blood cells) and potassium (essential in muscle contraction). Orange juice has a medium glycemic response because of its high content of sucrose (about 20 g per 8 fl oz. cup). The USDA Food Guide Pyramid recommends that adults consume an average of 2 cups of fresh fruit (including juice) per day. 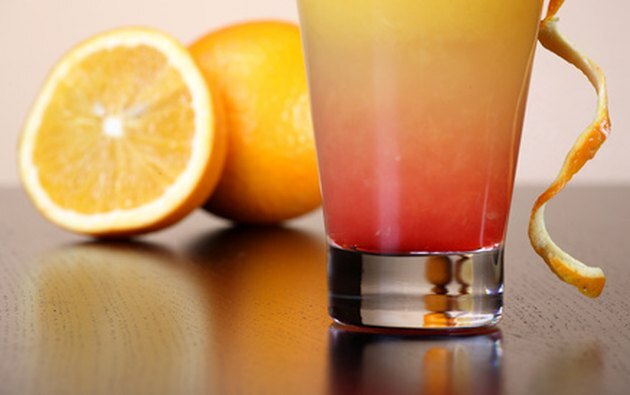 Therefore, diabetics should limit the amount of orange juice to less than 1 cup per day to avoid hyperglycemic loads. 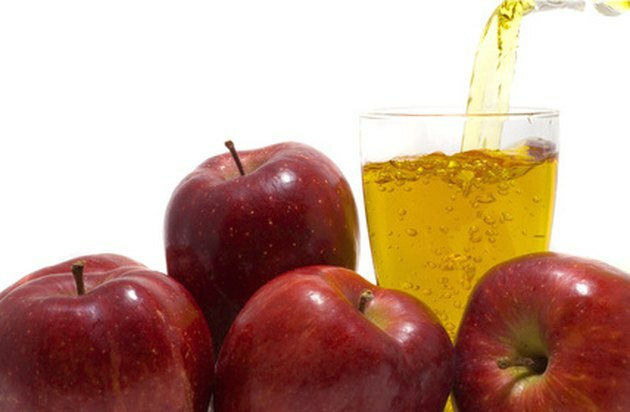 Apple juice is another healthy alternative when it comes to choosing fresh 100 percent fruit juice. Although apple juice has a lower glycemic index than orange juice (6 compared with 9, respectively), it provides less vitamin C, A, B1 and potassium, but it is also higher in manganese. The fiber component of fruits helps control peaks in blood sugar by decreasing its absorption through the duodenum (upper part of small intestine). According to an abstract published in the U.S. National Library of Medicine, there appears to be a connection between ingestion of soluble fiber and reduction of hyperglycemia (high blood sugar) in diabetic patients (non-insulin dependent). To include fiber, purchase apple juice with pulp, or mix apple juice with unsweetened applesauce. 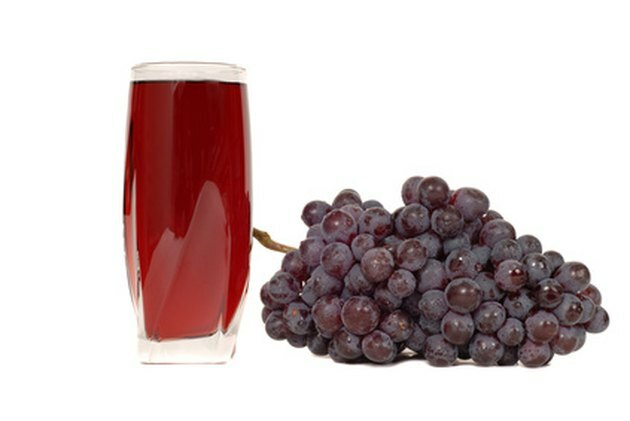 Although grape juice has the highest amount of sugar of the three juices described (35 g per 8 fl oz. cup), its glycemic index remains at a low to medium effect of 9. Besides the fact that grape juice is rich in vitamin C, thiamine, riboflavin and magnesium, it's also packed with chromium. The National Institute of Health describes chromium as a trace mineral that has shown positive effects in insulin activity. Insulin is the hormone responsible for stimulating glucose absorption in muscle cells. Finally, remember that the simplest way in managing your diabetes is to limit the amount of fruit juice you consume and to choose from a variety of products every day.